Today felt as though I was on an episode of the Amazing Race! Andre, one of the adults on the trip, lost his passport. He and his wife, Tammy, looked everywhere, but it was gone. I offered to help them so they could split up- Andre could go to file the police report and go to several of the places they had visited, and I would accompany Tammy back to Monmontre to not only check the various businesses, but to check with the police and information center. We set off on the metro and got off at Stalingrad. That was a bit unfortunate, because objects on maps are farther than they appear. We had a time constraint- so we had no choice but to power walk the 1.6 miles. 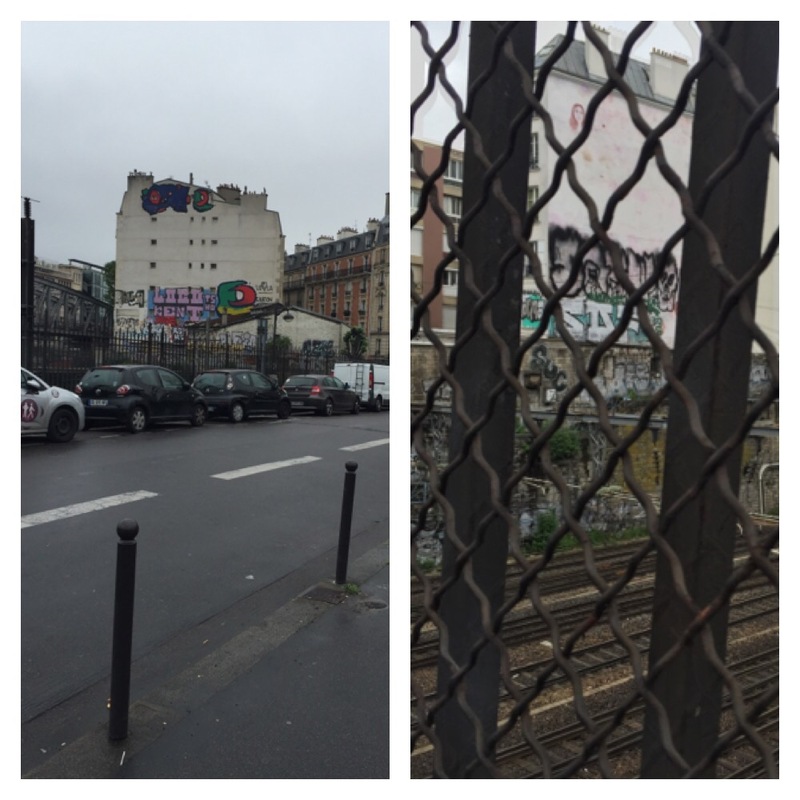 The area was a massive departure from the other parts of Paris we frequented for the past three days. There was graffiti on nearly every wall. Trash lined the streets and, in one area, the streets were lined with nothing but men in gangster-style suits just staring at us. “Just don’t make eye contact,” Tammy whispered. The roads were all uphill. We finally made it to the top only to find that we had come to the backside of the Sacre Coerr… And it was 10:45am. We had no time to walk all the way around to the front, so we were left with 390 steps that had to be climbed- FAST! I checked to ensure my nitroglycerin tabs were handy (since being diagnosed with angina, I am highly cognizant of my uphill hiking limitations.) we made it up in decent time- dripping and heaving, but happy to have reached the top. We retraced their Thursday steps, asking each shopowner, “avez-vous trouve un passeport jeudi ?” (Dos you find a passport on Thursday?) unfortunately, we didn’t find anyone who responded .”Oui! Ici!” We went to the information center to inquire about a police station. We were given instructions to the station serving Monmontre- a 50 meter walk. With time ticking (we had to be back to the hotel- a 45 minute adventure- by 12:30pm.) we made our way to the police station only to learn that it was only open Monday- Friday. The day was Saturday. Ouch. We left that area, and hiked up more stairs where we found a metro station. We hopped on the green train. Switched in Jussie to the brown train, and finally on to the pink train. We made it back to the Place de Choicy at high noon, which allowed us to have lunch. 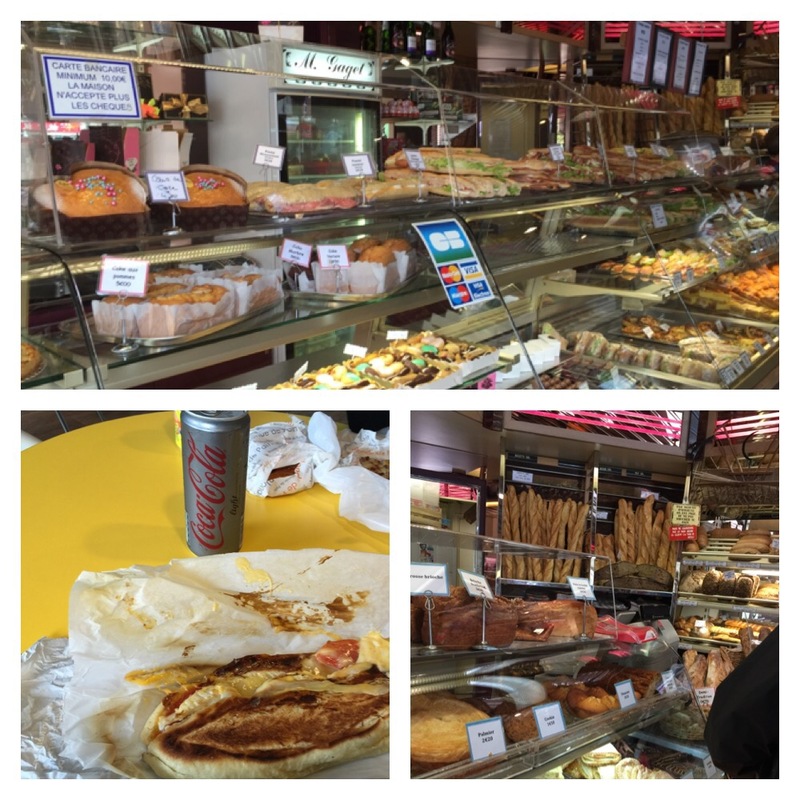 I had a wonderful panini fromage. The melted Brie was amazing. The shop embodied all of my favorite elements of the Paris foodie scene- local flavor, fresh patisserie, breads, cheeses… Mega yum! After lunch, we got on the bus and hit the road for the airport. It was sad saying goodbye to Paris. I love Paris! We arrived in Barcelona at 9:30pm after a 90 minute flight on Voering Air. 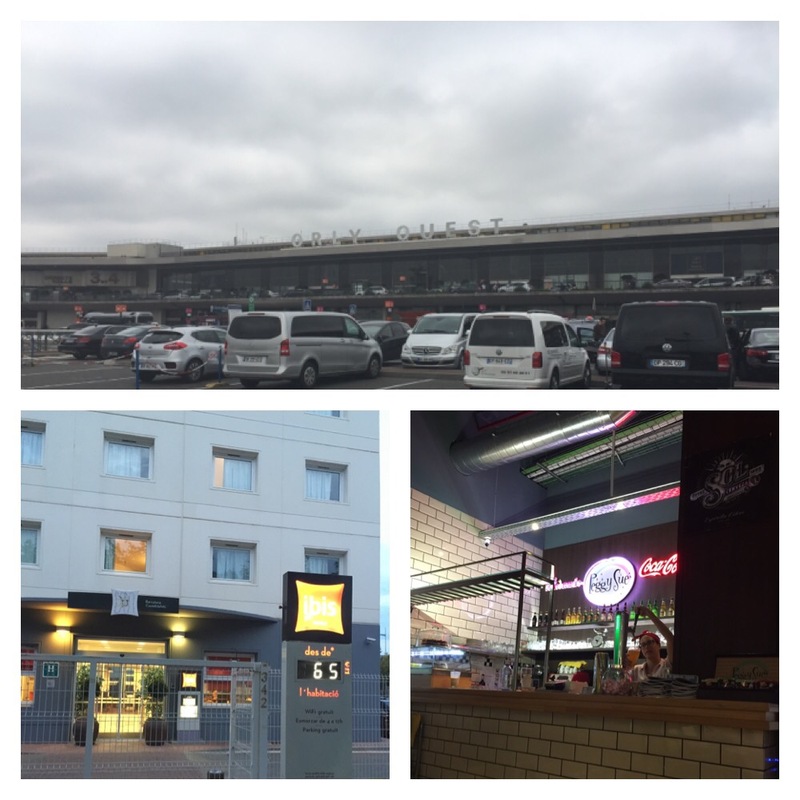 We went to our Hotel Ibis and settled in before walking to dinner at a local shopping mall. Tomorrow we will tour this beautiful city by the sea! What a trip!